A night out at the most exquisite fine dining restaurants in the city, we are always compelled to order a portion of sushi. With a multitude of options available, one or the other kind always manages to occupy a place on the table. These rice rolls are not only healthy; they are scrumptious and addictive too. The popularity stems from the fact that it is a simple dish with raw seafood and rice, yet manages to attract so much attention. Did you know that sushi was first created with a purpose to keep meat fresh in the absence of refrigeration? By keeping raw fish folded in rice, its freshness could be preserved for over months. This was the main purpose when sushi was invented in Southeast Asia back in the second century A.D. It is hard to believe that preservation of seafood was the main aim of this rather exotic dish. By allowing the fish to ferment in rice over a period of time, it was made edible. The rice was then thrown away, while the fish was eaten. Just like all things ancient, the origin of sushi is not free of old wives tales and folklore. How did sushi get its name? Tracing its trajectory is as fascinating as the name sushi itself is. 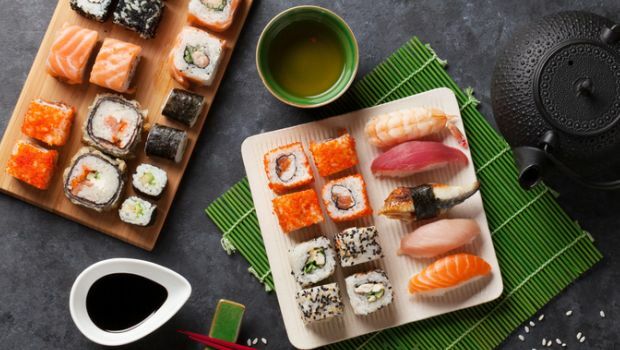 It is believed that the word sushi literally means ‘it is sour’ which is used to describe the ancient process of making sushi,with raw seafood rolled into rice along with salt for facilitating the fermentation process. Gradually, the preservation method was discovered in China and Japan, where Japan went a step further. Today, Japan has the most exciting night life and back then, there were significant transformations taking place. With Edo as the Capital of Japan, entrepreneurs developed quicker ways to prepare the sushi. Vinegar aided the process. The Japanese began eating the rice along with the fish. It was Matsumoto Yoshiichi of Tokyo who began to add vinegar in his sushi to sell it. This allowed the customers to eat it immediately rather than waiting for the process of fermentation to start. This why the sushi kitchen is called tsuke-ba or “pickling place.” The process of fermenting the rice releases acid that allow the fish to last longer. Hanaya Yohei is known to be responsible for the shift in the way sushi was originally presented and prepared. 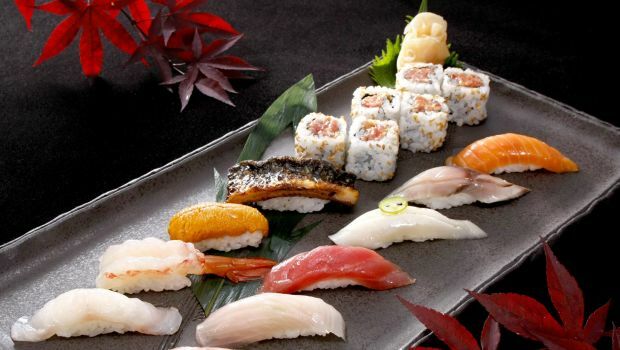 Before him, in the 1820’s, chefs used raw fish in their sushi, known as ‘Edo-style’ sushi. This is the style you will find in most sushi restaurants. 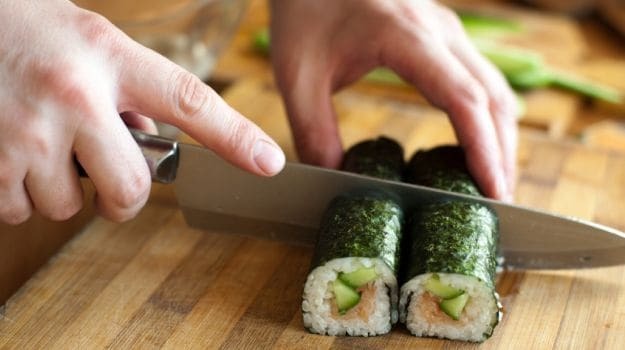 Then, Yohei began a method where by rather than wrapping the fish in rice, he began to place the fish on top of the roll and that is exactly the way we eat Japanese sushi today. It is also commonly referred to as ‘nigiri sushi’. At his time, it was a fast food available on the streets. He set up his stall on the banks of the Sumida river, this meant that sushi could be prepared within minutes rather than hours or days. You could be on the go and fill yourself with a box of freshly prepared sushi. It was slowly being favored and is now one of the most widely ordered dishes. How did it make its way into fine dining restaurants? The aftermath of the World War 2 and a massive earthquake in Tokyo in the 1920s changed the scenario in Japan. Land prices decreased significantly. You would no longer get sushi on your casual stroll across the street. It shifted to fine dining restaurants that desired more formal clothing and few more hours of your time. The earthquake also displaced numerous chefs to set up their bases across the country, increasing the popularity of sushi. Transcending geographical boundaries for the art that sushi making has become, the west slowly adapted the artistry. The booming post-war economy could support mass refrigerators, better transportation of seafood and fine dining restaurants that allowed the sushi industry to thrive. Today, Japan’s iconic street food, has become a sophisticated and unique dish globally. Upscale sushi restaurants are creating fusion forms, inventing and innovating at a rapid rate to meet customer needs. Chefs across the world attempted to embrace the sushi culture. With western influence, cut rolls that have been wrapped in seaweed or soy paper have become extremely popular. Vegetarians too have no reason to complain with toppings and fillings like mushrooms, cucumbers, avocado and asparagus. The Japananse pay a lot of attention to the presentation of food. The presentation is almost as important as the taste itself and that’s what makes sushi an art and an experience. Owing to the mysterious, yet elusive background of sushi, Yohei’s contribution is credible and unforgettable. In the absence of advancement of technology, his foresightedness is believed to have transformed the world of sushi. We can now state with conviction that sushi is here to stay.